For information on submitting a paper, visit our Submissions page or download the call for papers. 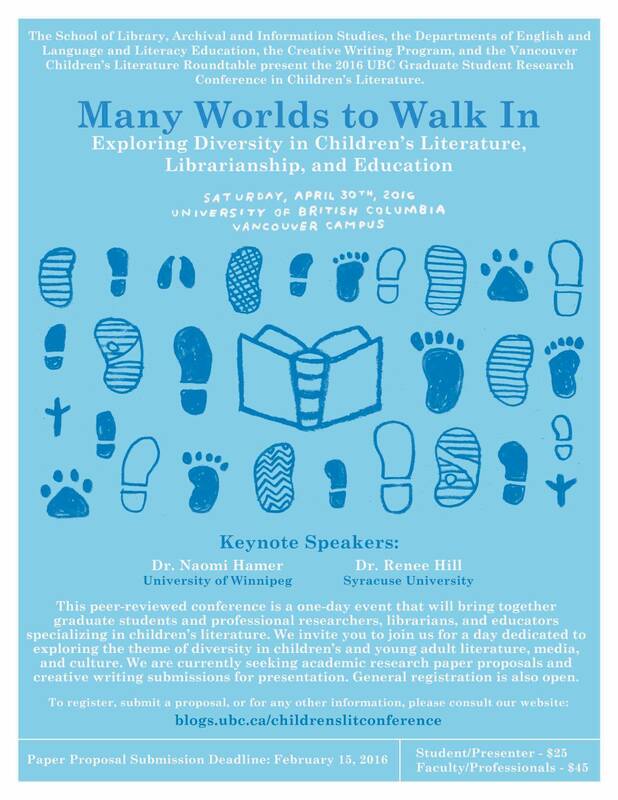 UBC’s Biennial Children’s Literature Conference is scheduled for Spring 2016. In the meantime, take a look back at the 2014 Conference, i Will Be Myself.